Are at risk for getting diabetes? Have high blood sugar or glucose? Duration: Year-long program. Groups meet for 16 weekly classes and six bi-weekly and monthly follow up classes. Dates and Times: Starts November 29, 2018. Classes held Thursdays, 5:15pm - 6:15pm. How to get started: Pre-register by contacting the Diabetes Prevention Program at 520-724-9538 or by email. Earn 10 points for each class attended. *All gift cards are subject to taxation. Notes: The Pima County Health Department Diabetes Prevention Program (DPP) is voluntary and available to all employees, spouses/domestic partners and dependents 18 years or older who meet the eligibility requirements. The program is administered by Pima County Health Department employees. 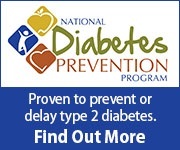 If you choose to participate in the Diabetes Prevention Program you will be asked to provide information on your prediabetes blood test results (Hemoglobin A1C, fasting plasma glucose, or two-hour plasma glucose), weight and Body Mass Index (BMI), diabetes or prediabetes diagnosis, and pregnancy status. The information will be collected by a DPP staff member and is used to determine eligibility requirements for the program and to compare initial and final results. Information will only be shared with Employee Wellness in group aggregate format. Individual results will not be shared with Employee Wellness, management, or any other Pima County employee not on the DPP staff. DPP staff may share the information with the Centers for Disease Control in aggregate format. Incentives of various types and amounts will be available for employees who qualify by participating in a certain number of sessions. Attendance is reported by DPP staff to Employee Wellness. All prizes valued at $20 or more and gift cards, gift certificates and vouchers at any value are subject to taxation. Throughout the year-long program, Healthy Lifestyle Activity Points may be earned in more than one reporting year (March 1st – February 28th.) Incentives are not available for spouses/domestic partners or dependents. Participants may become disqualified and unable to continue the series at any point during the program for reasons such as a diagnosis of diabetes and pregnancy. However, Employee Wellness offers a variety of reasonable alternatives for participants who start the program and become disqualified. If you need a reasonable alternative, please contact Employee Wellness. Arrangements for make-up of any missed class can be made with the class facilitator. Participants must weigh in on the same scale each time.